Kitchen and Residential Design: Mad Men is coming! "An hour of Mad Men is better than anything in the theaters on any given week" quipped Anthony Rue, former film historian, archivist and film festival coordinator, who is now the omnipresent owner of Volta in downtown Gainesville, Florida. Anthony keeps me fueled with excellent microlot coffees from around the world, and Volta has a massive chocolate selection that serves as my one stop gift shop for all my friends. Anthony has a discerning developed taste and he is a acerbic astute critic - for him to give Mad Men such glowing praise reassured me the show is more than just a guilty voyeuristic pleasure of mine. I just watched the first and last episodes of the second season again today and I still drool at the dead on styling and acting. 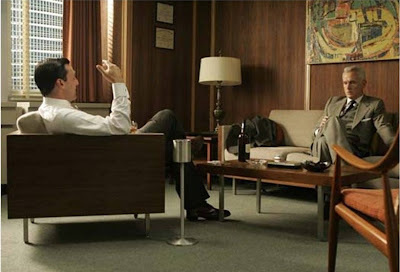 If you want to get a mouthwatering look at mid century modern design in motion, check out the sets of Mad Men. The part I love the best is that you get to invade period homes that actually look lived in as well as offices, hotels, and restaurants. "How can anyone not be happy with all this"? Check out Mad Men tonight at 8PM on AMC.....I know AMC? Yes AMC. It might take awhile to catch up with the happenings since the writers do not backfill the storylines with a bunch of boring recaps. The DVDs of the first two seasons can be had for chump change on the internet, or if you are savvy, you can find the show episodes offered online for your pirate pleasure. For me, this new season is going to pass the time nicely until Jack, Kate, Locke, Sawyer, Hurley and the rest of the gang come and take me back to the island where I belong. Woo-hoo! Thanks for the preview David, you're really good at this. I'm back from my eden, my wilderness and am none too happy about it. 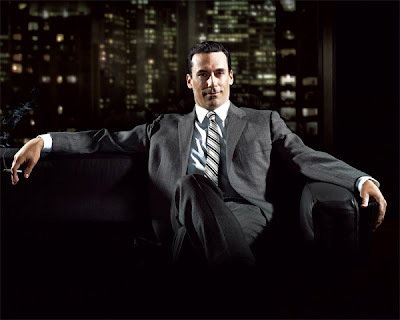 Mad Men tonight will soften the blow a bit though. A bit. 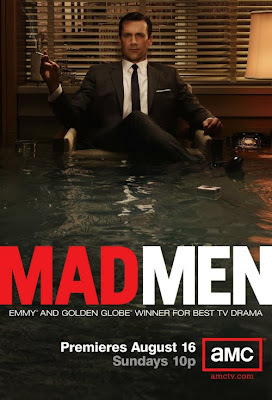 Hey, now I'm even More stoked about the new Mad Men season! I had a lot of fun "Mad Men-izing" myself and my husband on the Dyna-Mo game under "Mad Men is coming..." We make a prety 1960"s era pair! And we'd both like to hang out and have a drink with Don Draper. Thanks for posting! Welcome home, Gyps! Glad to see you back even if you aren't... Hey! 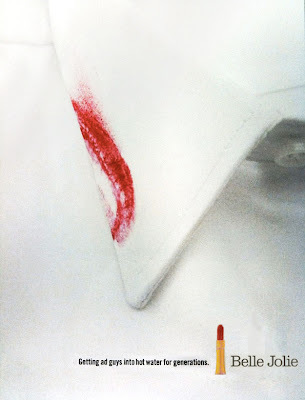 Here's an idea for a Mad Men spin-off: "Mad Menses", an episodic drama about the women's lib movement! Remember, if it's a hit, it was MY idea! Branton! Thanks for the welcome back. I realized while I was gone that I missed your birthday. I grovel before you and beg your forgiveness. I hope you were feasted and feted in grand style.